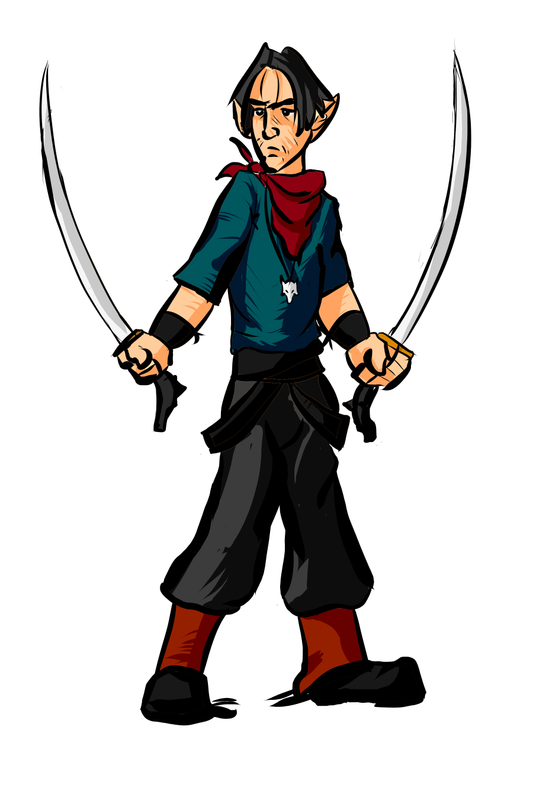 Thalin is the leader of the Lower Haven Thieves' Guild. He is one of the three elders of the guild along with his wife Elysia and their lifelong friend Elias. Thalin is the decision-maker for the guild. Using his streetwise cunning and keen eye for strategy, Thalin leads the guild from the backroom, letting Elias serve as the Guild Master upfront. Thalin would rather keep a broad scope of the guild, its place in Haven, and its place in the world than get mired down in the minutiae of operations. 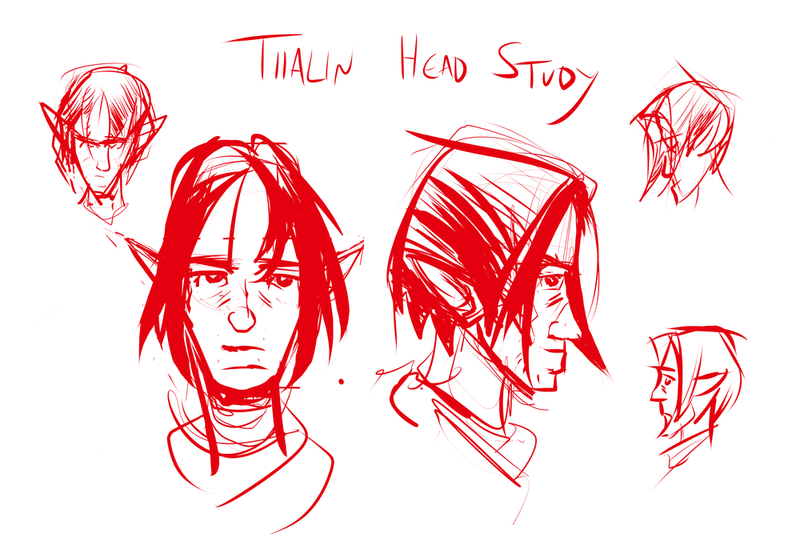 Thalin is a half-elf, raised in Lower Haven. He took up the ways of a street rat thief just to survive. Much of his youth is clouded in secrecy, something Thalin is very keen on maintaining. It is known that in his teenage years he began going by the somewhat cliched moniker, "The Lone Wolf." Though some had a hard time taking the name seriously, he soon proved he was worthy of the name. Prowling the streets of Lower Haven he began protecting the weak who had just come there to seek refuge. Those that would take advantage of these people were open prey for the Lone Wolf. At some point, he made his way up to Upper Haven, where he met an elven noble's daughter, Elysia. The two fell in love and ran away having many adventures. Eventually, they returned to Haven, where he, Elysia, and Elias took over the Thieves' Guild. Years later, Elysia and Thalin took in a young orphan girl who was brought to the guild from the streets of Lower Haven. They gave her the name Autumn and raised her as their own daughter. The girl's only possession was a well-crafted longsword that had belonged to her father. Thalin saw that the loss of her parents had lit a fire of rage in her and he used that rage to teach her to fight and use her father's sword. As she has grown, Autumn has followed in Thalin's footsteps to become a skilled thief and cunning fighter.